(please note this is a brief overview to simplify the process. Your CPCS Blue Competence Operator Card must be within 5 years of its expiry date to renew using this route. If the card has expired over 5 years please see 'Expired Blue Cards' at the bottom of the page. Please click here for more information about booking the test and purchasing revision material. You are required to pass the CPCS Renewal Test within the last 2 years in the category or group of categories you want to renew. To check which Renewal Test modules you need to take and also to download revision factsheets please use the online Module Matcher. Please note that bookings for the Health, Safety & Environment Test and the CPCS Renewal Test can be made at the same time. •Recording 300 hours per category in your CPCS Logbook*. The hours will need to be validated by a CPCS registered validator**. * Please click here for an electronic version of the logbook. ** Please click here for the CPCS validator application form. If you have not kept a log of your hours you can complete an On Site Assessment (OSA) at our training centre at Leyland, Lancashire. This would be a short 30 minute test (per category) with a CPCS tester. On successful completion the tester will validate your card application. Please click here for more information about our OSA service. Complete the CPCS Technical Practical Test in the relevant category. Please contact us for more information. Guidance notes are printed on the reverse of the form but should have any difficulties in completing it please don't hesitate to contact us. CITB Health, safety and environment test in the relevant category, please see above to choose the correct one. Pass the CPCS Theory and Practical Tests for each category held. Please call us for more details. 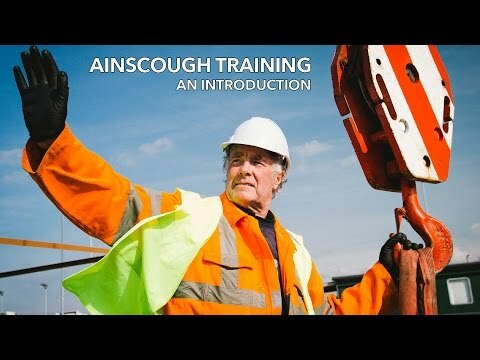 Hold the relevant SVQ or NVQ (if not held then the red trained operator card will be issued). Please click here for more information about our NVQ assessment service. 1. CITB Health, safety and environment test in the relevant category, please see above to choose the correct one. 2. Pass the CPCS Theory and Practical Tests for each category held. Please call us for more details. 3. Hold the relevant SVQ or NVQ (if not held then the red trained operator card will be issued). Please see the 'Courses' and 'NVQ' menus above to view our full list of categories that we offer. This is for CPCS Blue Card Holders who need to renew their CPCS Blue card. This also gives information on what to do if your Blue CPCS card has expired. •Complete the CPCS Technical Practical Test in the relevant category. Please contact us for more information. Blue cards can be renewed up to 6 months before their expiry date. To apply to renew the card you will need to complete the F1/3 CPCS Application Form. Guidance notes are printed on the reverse of the form but should have any difficulties in completing it please don’t hesitate to contact us. You will need to renew your Blue CPCS card every 5 years.